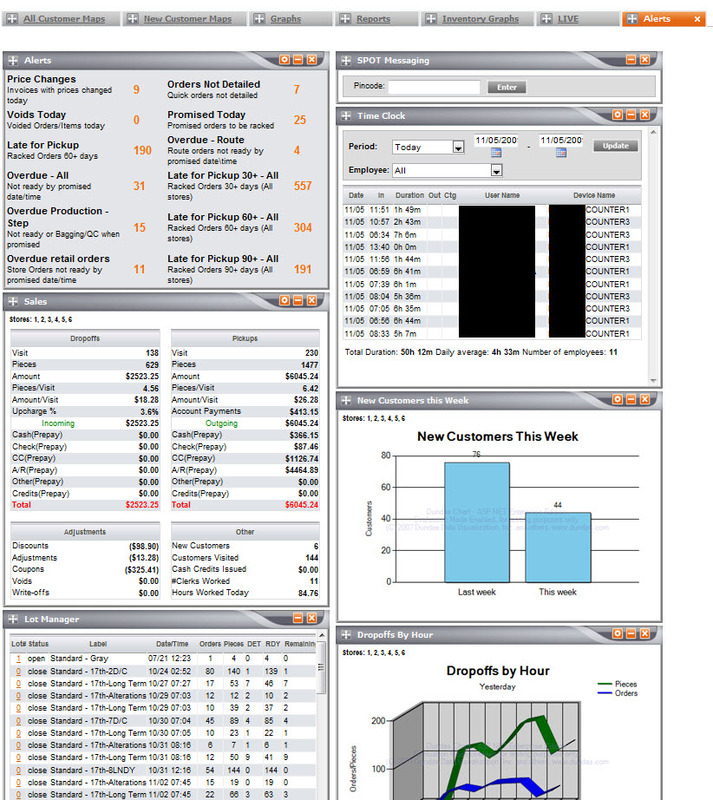 Dashboard with customizable navigation tabs. 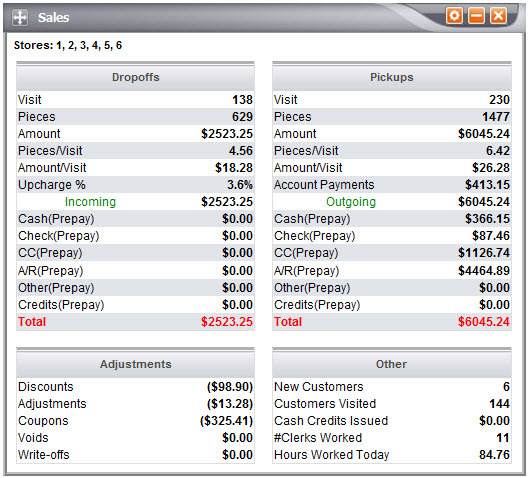 Display a snapshot of incoming and outgoing sales as seen in SPOT&apos;s summary tab. Instant access to Summary sales data. Date range and store selecting. View and print selected reports from your web browser. 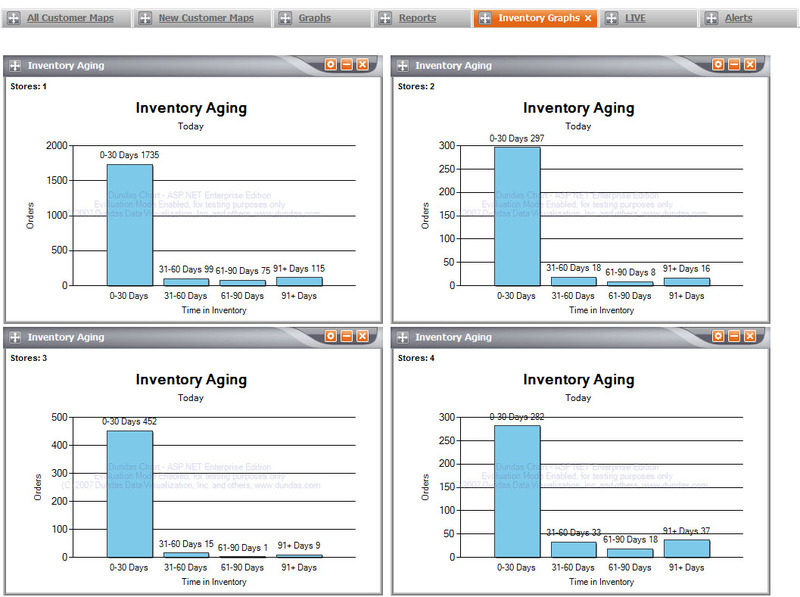 View Lot Manager, PPOH and process step history in real time. 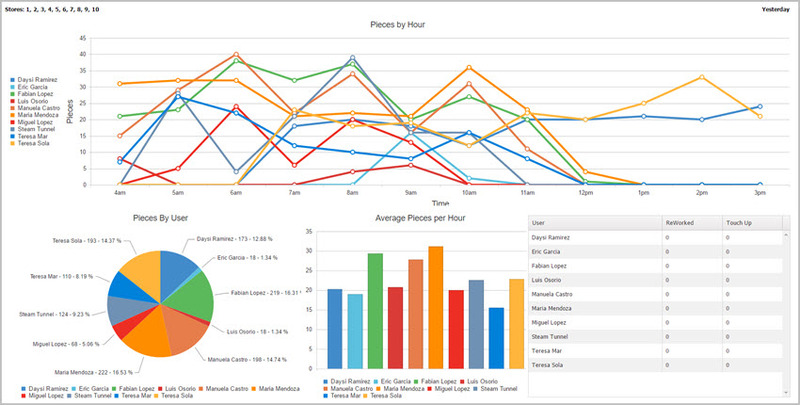 View real time details by store and user of orders, pieces and upcharges processed for the day. 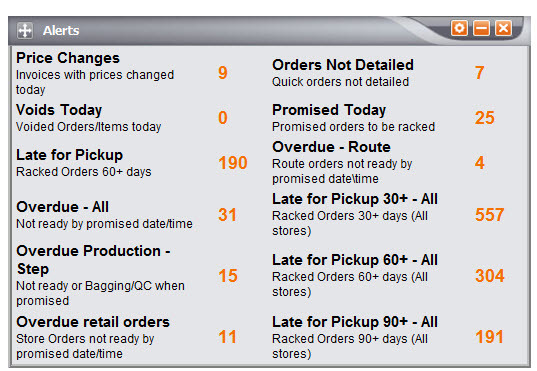 View Lot Manager, Production detail, Production Summary, ProductionTrac Scorecard and Daily Production. 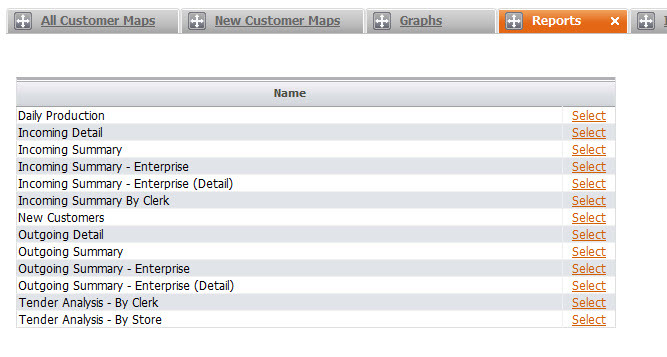 Build maps with store and route customer criteria. 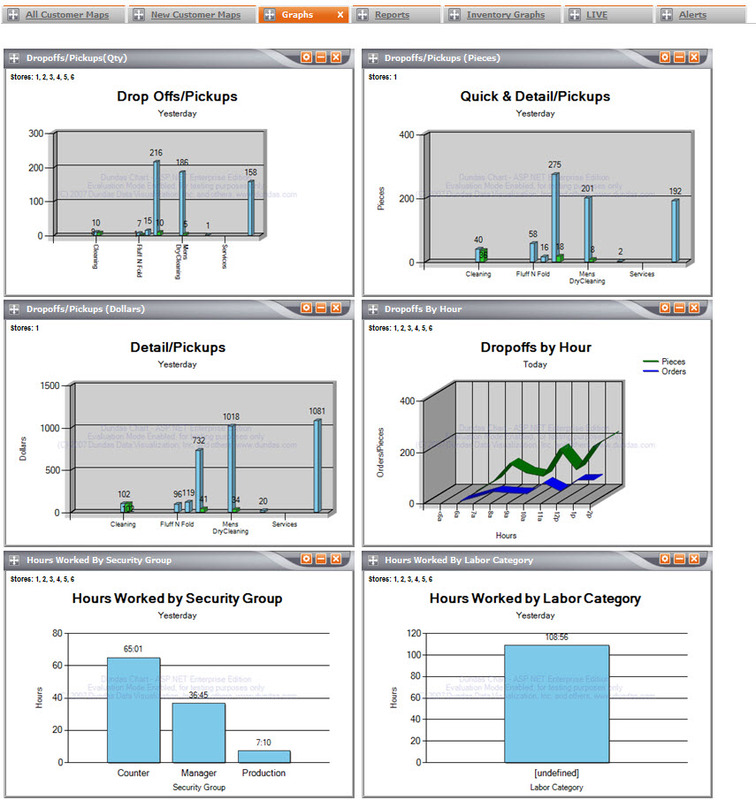 Real time graphs showing labor used by security group or labor category. Display store inventory as a single store or combine selected stores. 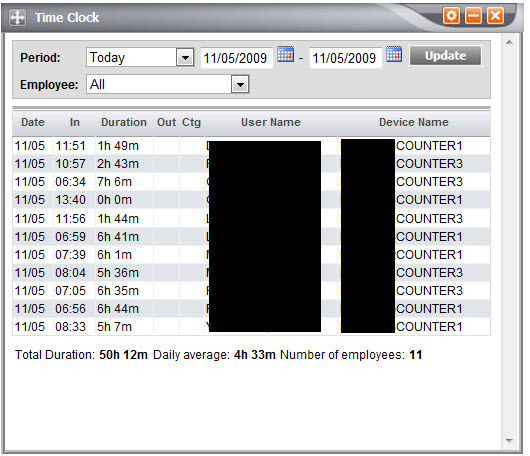 View store or employee detail in real time. Use the current date or configurable date range. Display store inventory as a single store or combine selected stores. Access to your SPOT messaging features allowing you to read, reply and create new messages to your staff. Instant access to read, send and reply SPOT messages via messaging. 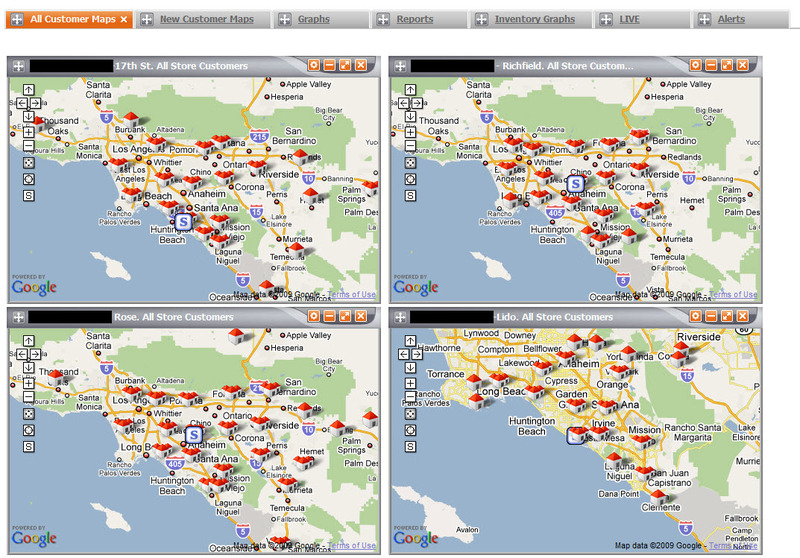 Real time alerts alerting production and inventory information like the SPOT homepage. Many of the alerts available on the SPOT home screen are available.